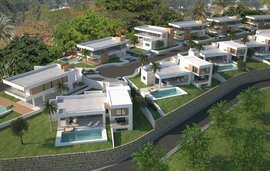 Marques de Guadalmina is a turn key project of 1, 2 and 3 bedroom apartments, attics and duplexes located next to the Atalaya Golf Course on the New Golden Mile. 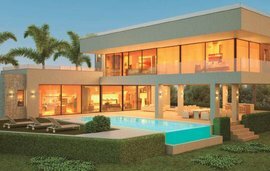 Located within walking distance of the international bilingual school in Atalaya, supermarkets and golf courses, and just 7 minutes from the luxury yachting marina of Puerto Banus and ten minutes from the beautiful village of Benahavis. Other features include fully fitted kitchen, air conditioning (hot and cold), home automation system including an alarm and double glazing. The community facilities include 4 swimming pools, padel tennis courts, a play area for children, gym, spa, sport circuit for jogging and a putting green as well as extensive garden areas and parking spaces. Please give us a call to find out the latest prices and the availability.